Every year, hundreds of thousands of workers get hurt on the job in the United States. The Bureau of Labor Statistics reports that 882,730 employees were hurt at work last year – that number accounts for 2.8% of all the workers in the US. Texas workers face numerous challenges after suffering from workplace injuries. Many are unable to perform their previous job duties or return to work at all. On-the-job injuries may also result in costly medical bills and loss of wages, both of which cause financial hardship for work injury victims and their dependents. Proving fault when you’re injured on the job is tricky, so it’s important to speak with a knowledgeable workers compensation attorney at Juan Hernandez Law P.C. We can help you understand your legal options and determine the best plan of action for your situation. Workers compensation insurance is intended to provide medical and financial benefits to employees who have been injured on the job. However, the state of Texas does not require private businesses to carry workers compensation insurance. (In fact, Texas is the only state in the US without this requirement). An employer who opts for workers compensation insurance is known as a subscriber, and an employer who opts out is known as a non-subscriber. While employers aren’t required to carry workers compensation insurance, Texas makes carrying this insurance an attractive option. According to the Workers’ Compensation Act of 1993, an employer who carries workers compensation coverage is exempt from employee lawsuits, except in cases of gross negligence on the part of the employer. As for the employees, when a business has workers compensation, it makes it much easier for workers to gain compensation for their injuries. If your injuries were due to your employer’s gross negligence, you deserve additional compensation for your injuries. Even if your employer has workers compensation, don’t hesitate to contact us to determine if you deserve additional compensation for your damages. If your employer is a non-subscriber, you don’t have a streamlined way to receive compensation for your work injuries. However, you have a greater chance of receiving the full compensation for your injuries. Because non-subscribers don’t have the same protections from lawsuits that subscribers have, you have a wider range of damages that you can potentially sue for. It’s important to note, however, that non-subscribers don’t necessarily have no coverage; employers do have alternative coverage options available to them if they decide to opt out of workers compensation insurance. Unfortunately, workers compensation and alternative plans may not be sufficient to cover all of your work injury-related expenses – especially future medical expenses and loss of future earning capacity. If your employer’s plan provides insufficient coverage, a lawsuit may be the best means to receive a fair settlement for your pain and suffering, medical bills, lost wages, and other losses after a work injury. According to the Bureau of Labor Statistics, workplace accidents lead to over 5,000 wrongful deaths every year. These deaths leave families devastated and deprive them of future income. With just a few safety precautions from the employer, many of these workplace deaths could have been prevented. Work injury cases are essentially negligence cases. When the employer has workers compensation insurance, it’s difficult to receive compensation for your injuries (beyond what is provided through workers comp) unless you can prove gross negligence on their part. For employers who are non-subscribers, a lawsuit is often necessary to receive any form of compensation for injuries and other damages. Even if the employer wants to settle out of court, it’s important to have one of our personal injury lawyers at your side to make sure that you negotiate a fair settlement. The employer was negligent. An employer may be found negligent if they failed to maintain safe conditions in the workplace, overworked their employees, or otherwise compromised the safety of workers on the job site. To prove that an employer is liable for your injuries, you must first prove their negligence. You were injured on the job. You must prove not only that the workplace was unsafe, but also that the unsafe conditions led to your injuries. To do so, you must gather evidence of your injuries, prove your financial losses, and prove that you sustained your injuries at the workplace. You weren’t intoxicated at the time of the incident. If an employee is high or drunk at the time of their workplace accident, their employer may not be held liable for the accident. You didn’t cause the injury intentionally. An employer might claim that you intentionally hurt yourself in order to get money – a claim which you must prove to be false. You couldn’t reasonably have expected the injury to occur. Some occupations are going to lead to injury by their very nature. For example, a beekeeper could not expect not to ever be stung on the job, and therefore their employer wouldn’t be liable for their beestings. You weren’t responsible (or more than 50% responsible) for the incident. In Texas, a defendant generally won’t owe damages if the plaintiff is found to be more than 50% at fault for the accident. This is called “comparative negligence.” There is an exception for work injury cases, however: comparative negligence only applies in subscriber cases. In non-subscriber cases, an employer can only avoid liability if they can prove that the employee was completely at fault for the accident (known as “sole proximate cause”). Many times, someone other than the employer is responsible for work injuries – for example, outside contractors, delivery drivers, or equipment manufacturers. If the negligence of a third party has caused your work injury, you may bring forth a lawsuit against the third party even if you are receiving benefits through your employer’s workers compensation plan. There are also considerations if your injury occurred at a multi-employer worksite, site as a construction site. A qualified workers compensation lawyer at Juan Hernandez Law can advise you on whether this is an option in your case. 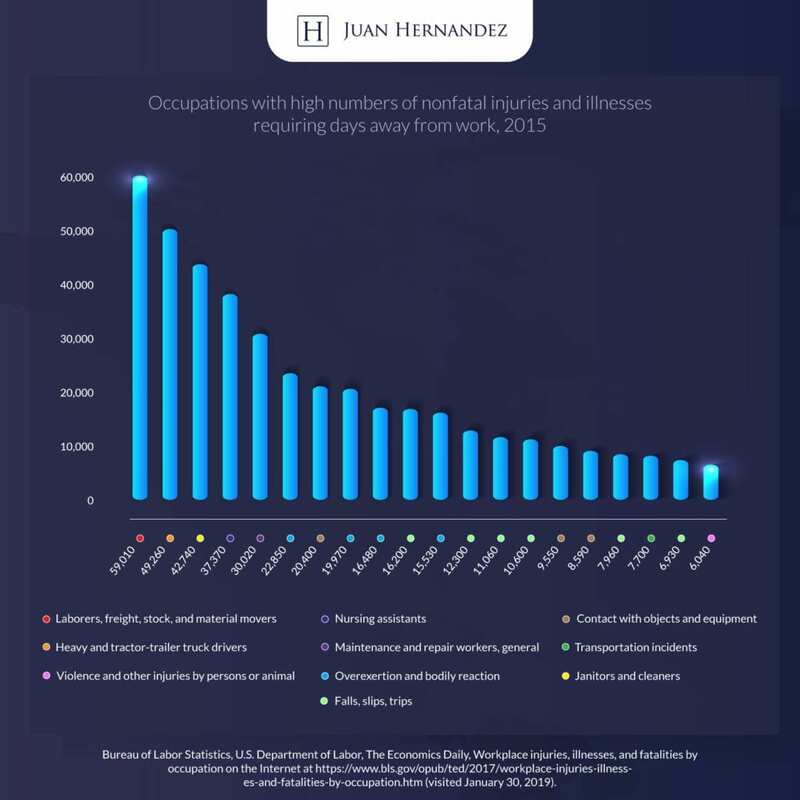 If you have suffered a work injury in the Dallas, Amarillo, or Abilene areas and your employer does not carry workers compensation insurance, or if workers compensation does not adequately cover your injury-related expenses, contact the experienced work injury attorneys at Juan Hernandez Law P.C.